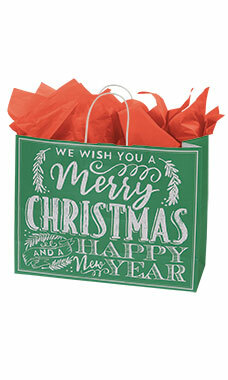 The Large Green Modern Christmas Chalkboard Paper Shopping Bags will have your customers in the holiday spirit. 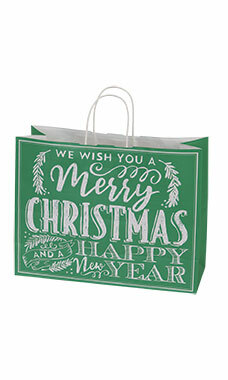 Featuring green and white chalkboard coloring, this bag is sure to be one that your customers will love carrying! Bags feature a white interior and twisted rope paper handles for easy carrying of special gifts! Sold in cases of 100.